We drove north to go down the central Jersey shore a couple of weeks ago. A long story short - my sister's husband is from Avon-by-the-sea and we have some good friends, Jamie and Judy, originally from Ocean Grove who now live just outside town. They have a son just 2 months older than Junior Awesome and my sis has two young daughters. We've been trying to coordinate a week vacation with them for a couple of years and finally managed it. My brother in law has 2 brothers that still live in the area, and each brother has two young kids. So between my sister, his brothers, and us, there were at least 7 kids running around, not counting Jamie and Judy's son or their other friends with kids. Vacations with your children are much more enjoyable for everyone if other kids are around, if you didn't know that because you don't have kids. I spent several summers on the Jersey shore during and post college and it is a great place to be. I love it and would go back for the summer each year if it ever becomes feasible. Like everywhere in life there are people and places to avoid. We stayed in Ocean Grove which is a dry town and has an interesting history as the oldest continuous Methodist camp meeting ground. I used to work as a lifeguard in Ocean City, which coincidentally is also a dry town. These are good places for families to stay and there are nice shops, nice beaches, and generally pleasant people around - they don't attract the rowdy party crowds that have given some parts of the Jersey shore a bad rap. Junior had a great time with his cousins, cousins-in-laws, and buds, and we had a nice time relaxing. Our beach house was a 109 year old home that was cute, rustic, and only slightly off-center. 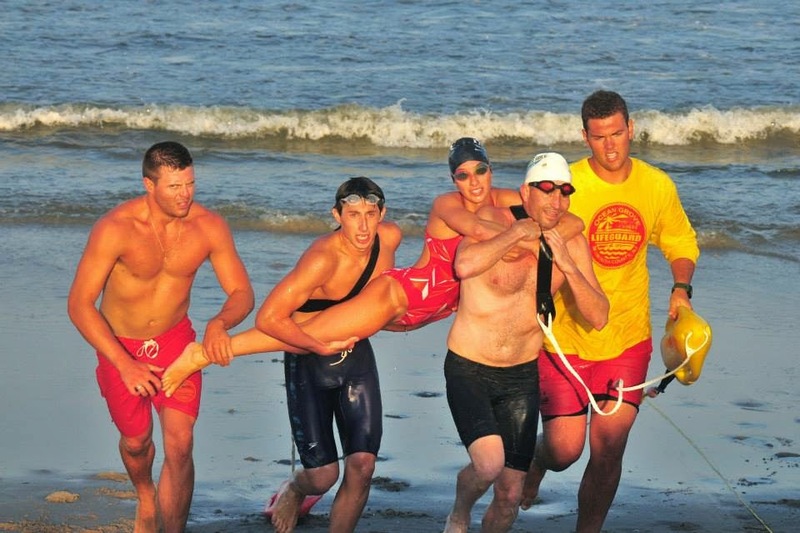 I was able to take part in a lifeguard tournament and volunteer-work a half day on the beach. 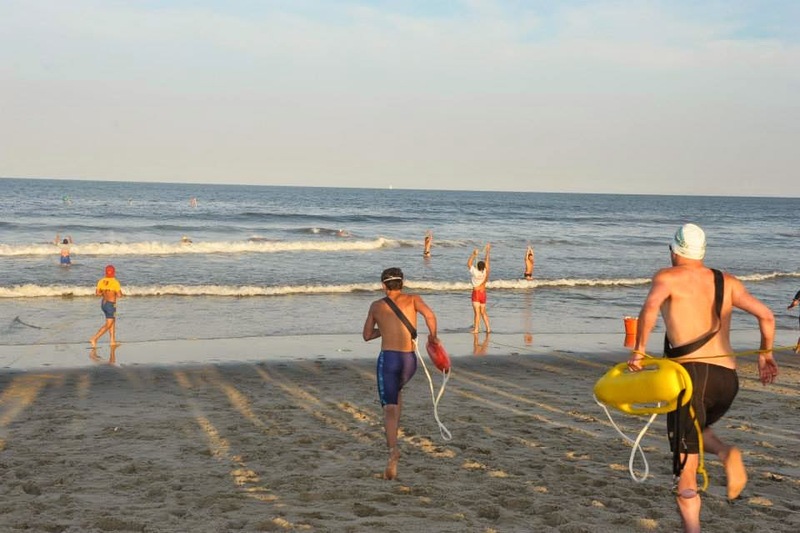 I also raced in the 34th annual Ocean Grove biathlon - a 2 mile run followed by ~300 meter swim - where I took 5th overall. I think Bri has some pictures of that on her blog. We spent a lot of quality time with our family, friends and other little ones. All in all, what vacations are supposed to be like. The tents at Ocean Grove. Judy watching the boys jump on the couch. First steps into the cold NJ waters. Boardwalk surfing the skateboards. I would not have thought of this. Logan works on his ladies. Notice the slanted door frame? For realz yo. No, my do it mommy. Our only family picture from the week! Sort of sums it up, don't you think?